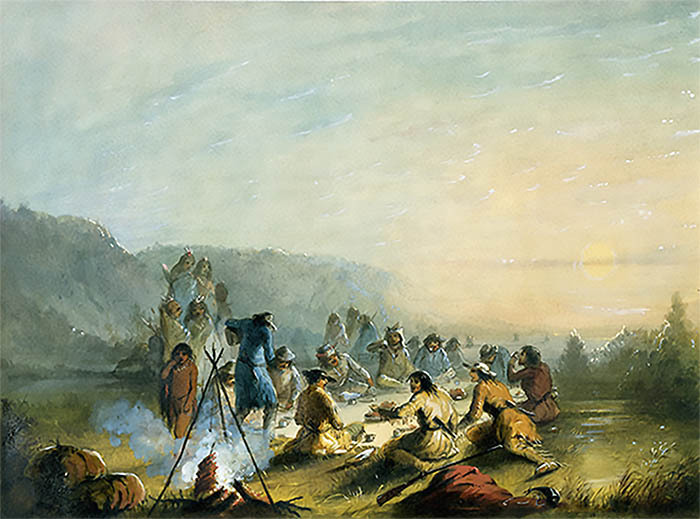 Artist Alfred Jacob Miller’s watercolor titled “Breakfast at Sunrise” captured this image during the annual fur trader’s rendezvous held in the Green River Valley in Western Wyoming in 1837. Miller’s watercolors are a unique record of the closing years of the western fur trade. Learn more about Alfred Jacob Miller.